Treat yourself to a cool interactive showcase of the point clouds by going to http://www.sccs.swarthmore.edu/users/12/abiele1/zeus/zeus.html. 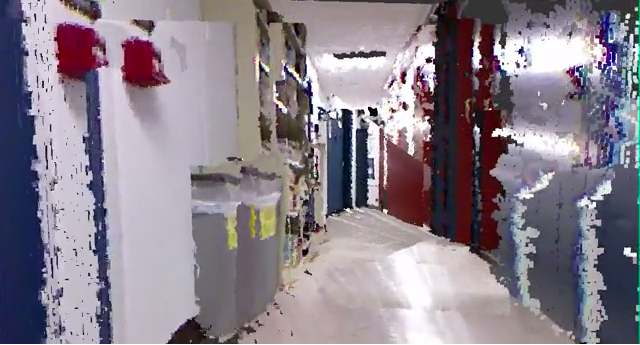 They're using XB Pointstream to have these awesome point clouds generated in a browser. Click an .asc file and when it's done loading, you can use your keyboard to navigate through the point clouds! Space bar moves your perspective vertically along the X axis while A and S allow you to move horizontally. Press the W key to zoom in and out.